Not Even Cutscenes Can Save You. "Signal at me when you get the gas... CHARGER!!!" We haven't been keeping on top of the update news. It's not that we have much choice but to use them, but it's nice to know what's involved then the magic update happens. The trailer for the new DLC is now live. And it's awesome. Valve's L4D2 comic that builds up to the release of the DLC content itself... is now live for your viewing pleasure. Valve have released the latest mutation for Left 4 Dead 2 as well as a major change to realism versus. Most of the previously released Mutations have been annoying/not fun at all... this is another one of them. News of another update for Left 4 Dead, including stopping the damn tank spawning on fire! Lowstress reports on the latest L4D2 update which encourages you to poke dead people with a pointy metal object. And we aren't referring to Cannonfodder's head either. Here's the info on the mutator and some information regarding changes to the Jockey and the Defibrillator. Update Released. Adds Extra Fence Panel. No more "exploiting" fences for you! A brief conversation but an important one. L4D2 DLC = "Next Week"
Valve noticed we'd branched out to a new game and are now dragging us back; kicking and screaming. New Custom Campaign To Try. Info and download links in full article. 50% Off And New DLC Info. In recent weeks, it's come to my attention that Valve haven't been emailing out notifications that required updates have been going out (or it's being caught by the CCS spam filter). Whatever the problem, a rare notification came through the perial of travelling from California and it presented here for your information. First L4D2 DLC Has The L4D1 Characters. Some brief news regarding what to expect when the L4D2 Authoring Tools are released. News of a latest update for Left 4 Dead 2, with a special element for Stumpy_Cat and his FAT32 issues. 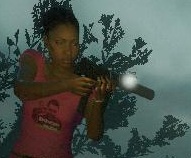 Left 4 Dead Campaigns Now Work in L4D2... Sort of. Valve let us know what time to expect the full L4D2 will unlock and Talarin shamelessly hijacks another of Pete's articles to confirm launch and server availability. Valve have continued to make minor fixes to the Left 4 Dead 2 Demo, which clientside and server side updates coming out on a frequent basis. According to Valve: "Left 4 Dead 2 Pre-orders 4 Times The 1st"
Xbox Live subscribers of Gold distinction can enjoy the Xbox 360 Left 4 Dead 2 demo as of right now. The 1.69 GB demo is yours for the downloading from Xbox Live Marketplace. News of a server side update for Left 4 Dead Demo servers.